Jean LaCour PhD, CPP, CPRC is a global expert and thought leader in Addiction Recovery. In 1996, she cofounded NET Institute Center for Addiction and Recovery Education, an international training organization offering integrated online training programs for Clinical Addiction Counselors (Bachelors & Masters level), Peer Support Specialists (mental health), and Peer Recovery Support Specialists (addiction). Her passion is to increase career options and competence in Addiction Recovery with a strength based focus on personal growth and transformation. 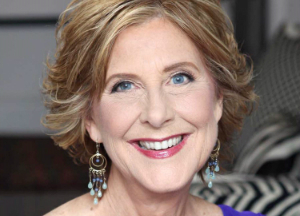 In 2014, she launched the International Association of Professional Recovery Coaches (IAPRC) to enrich and expand the Recovery Experience to include personal wholeness and wellness beyond sobriety; and to promote a neuroscience based Specialty in Addiction Recovery based on proven protocols of Professional Coaching (Business, Executive, Life, and Wellness) and best practices in Addiction Recovery. Programs are designed for people with no coach training and for experienced Professional Coaches. As a tireless advocate for people working in Addiction Recovery around the world, Dr. LaCour has inspired innovation in Egypt, Russia, Pakistan and Bermuda. Her global efforts include several United Nations workgroups and working with the UN to offer the first addiction exam in Arabic in the Middle East to candidates from 12 Arab nations who were trained through her Egyptian collaborations. She has served on numerous international, national and state policy initiatives and has trained in 25 nations. She is president of ISAAC, an Addiction Coalition with over 1,000 members in 70 nations. “Dr. Jean” is a sought after presenter who is best known for her enthusiasm and energy in communicating an uplifting message of hope in overcoming the challenges of life with grace and courage.